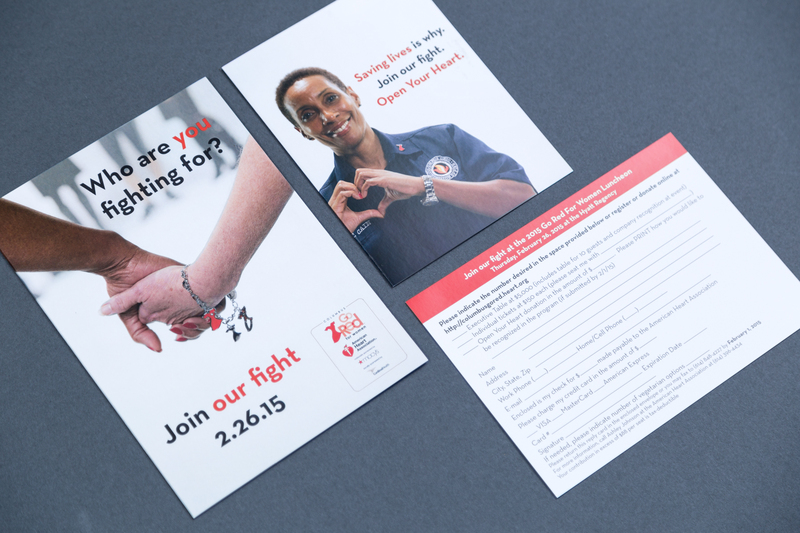 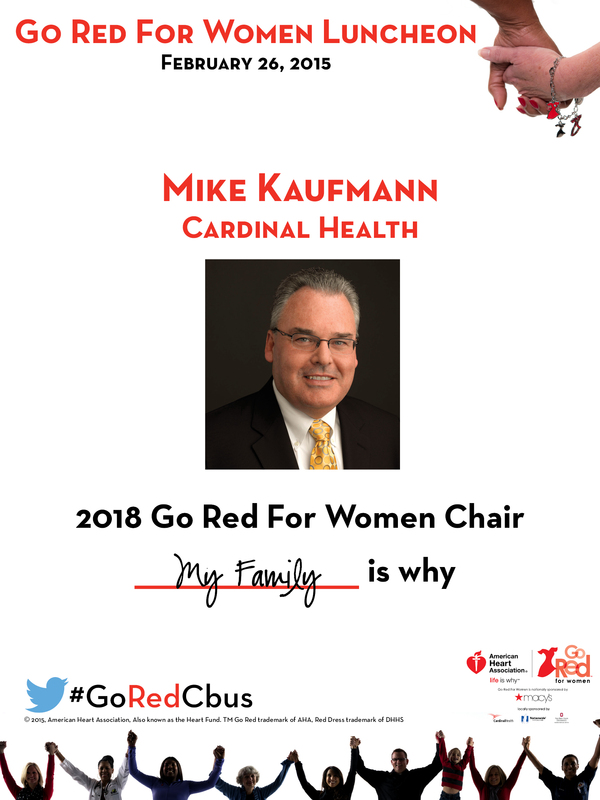 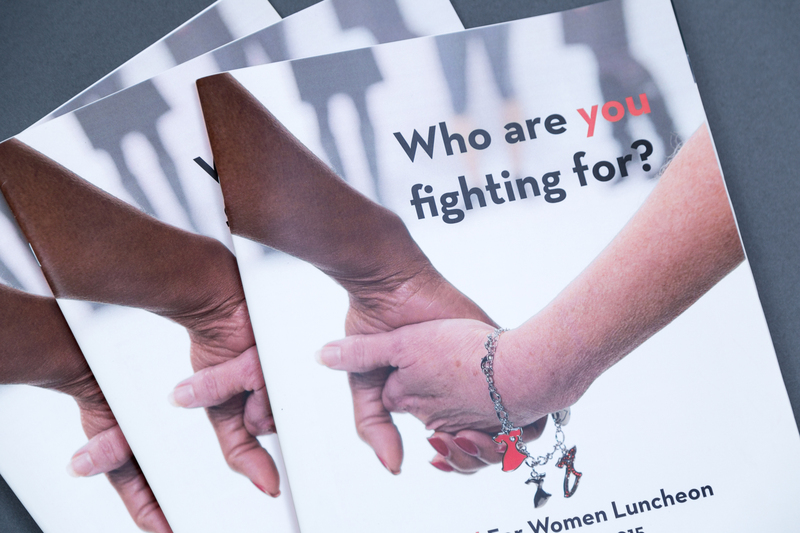 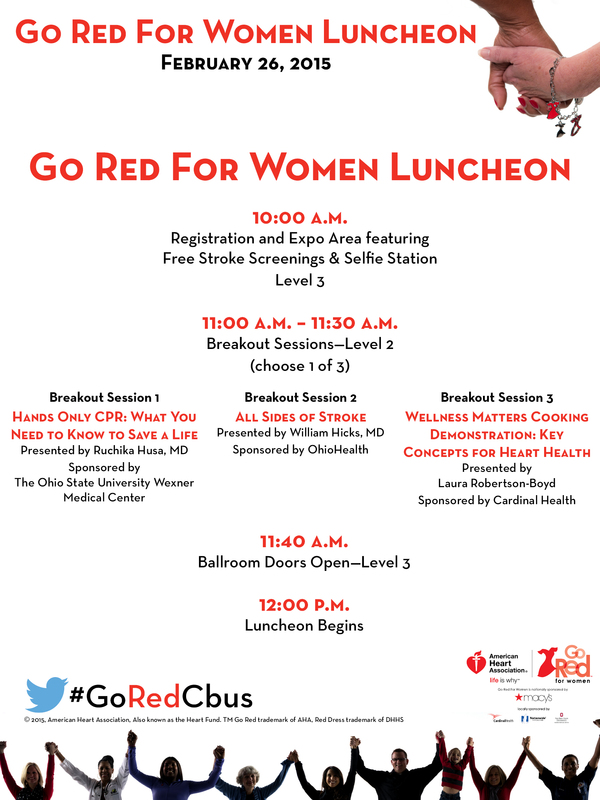 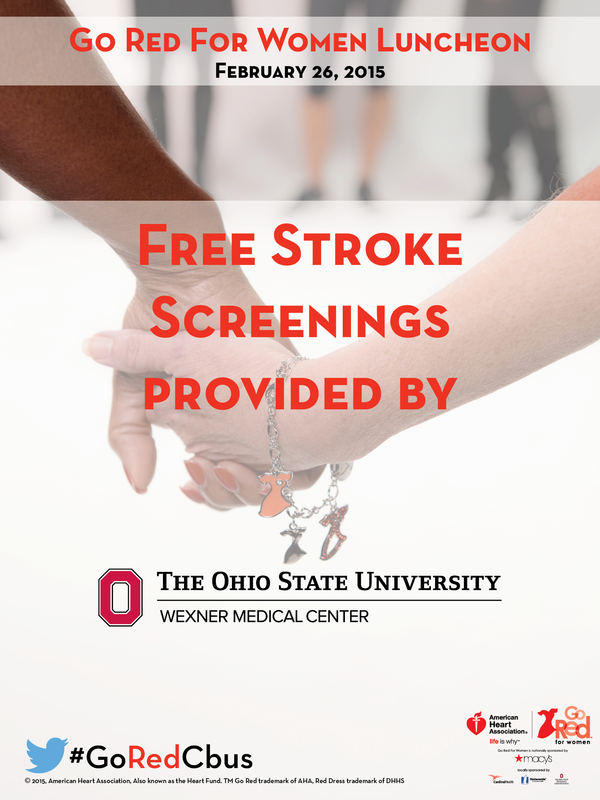 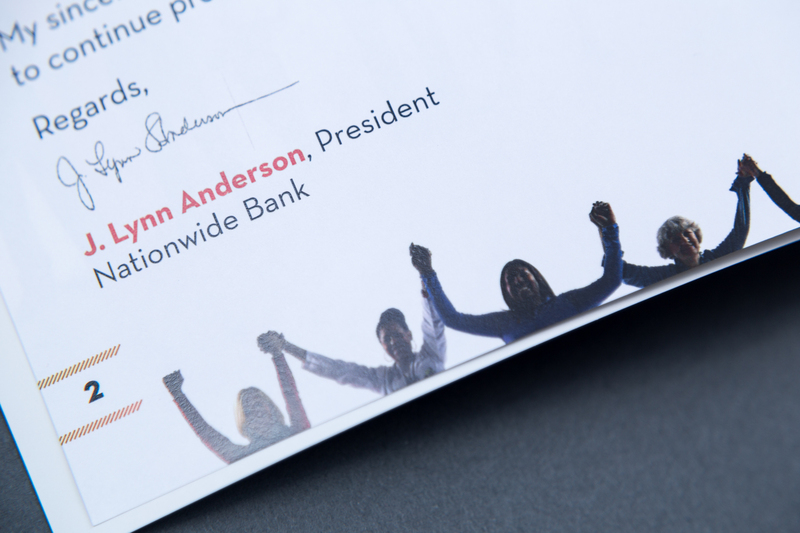 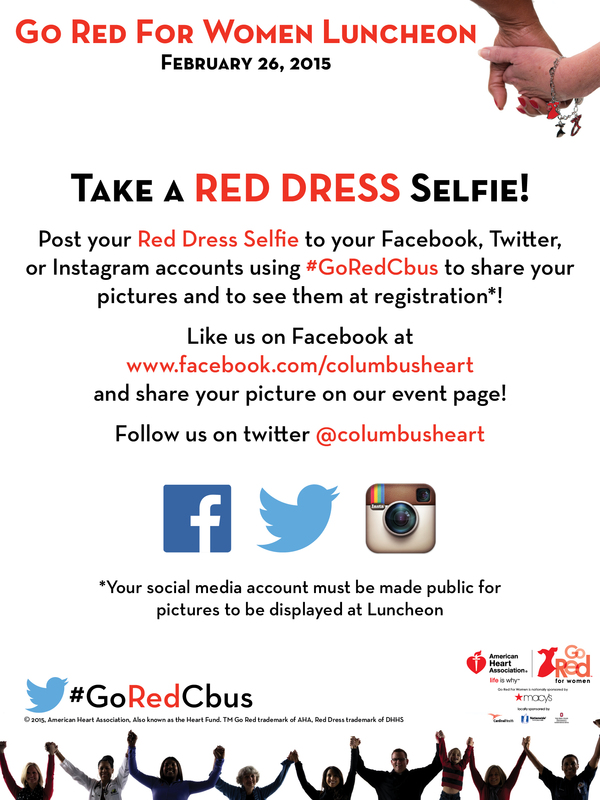 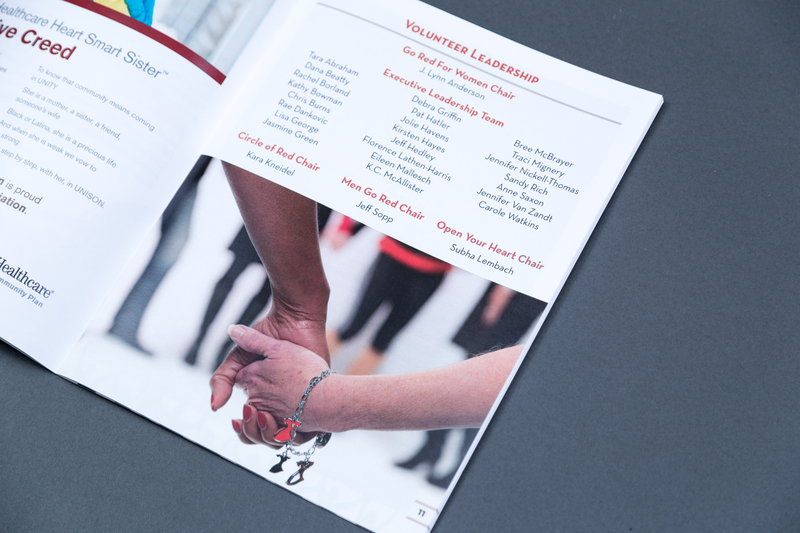 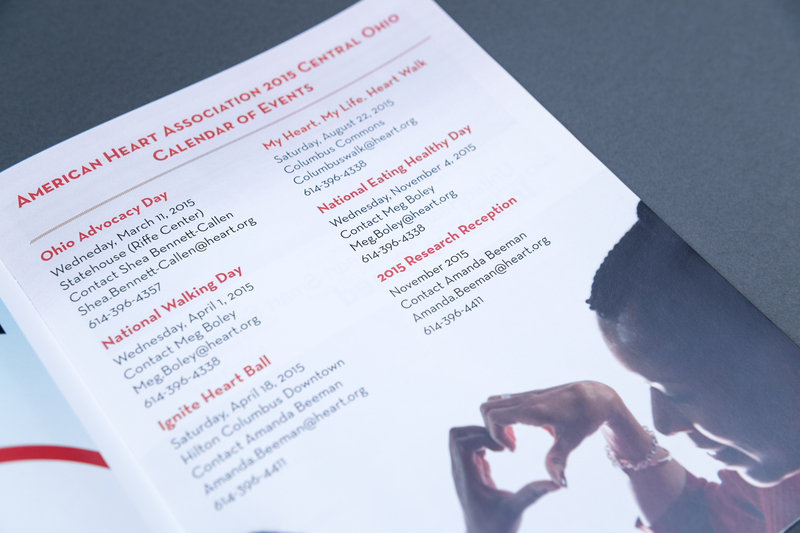 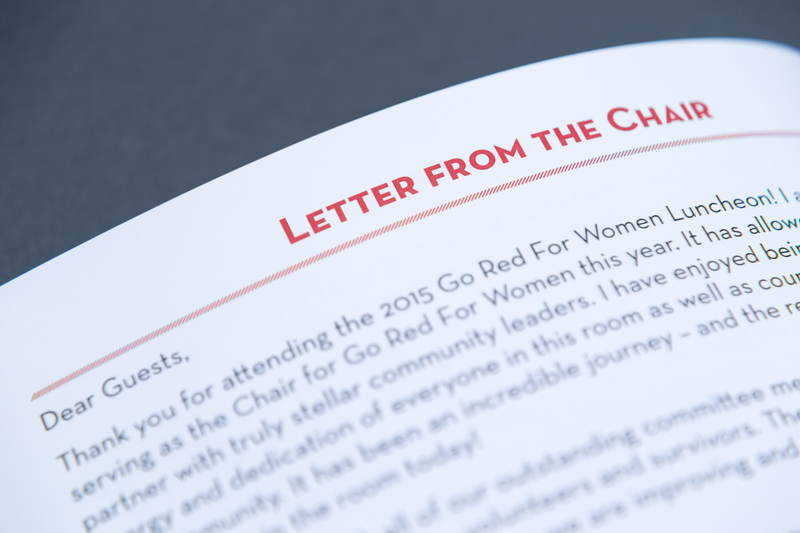 To follow the extremely bold and striking campaign I created for the previous year’s luncheon, the American Heart Association Columbus chapter wanted to find a gentler and more community-based approach for the next luncheon. 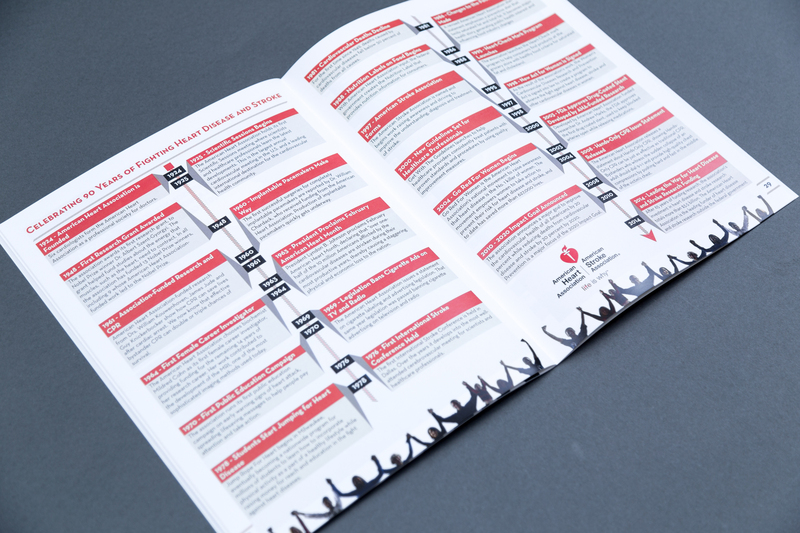 I developed the “Chain of Health” approach, which emphasized the many steps and players involved in heart health and response to an incident. 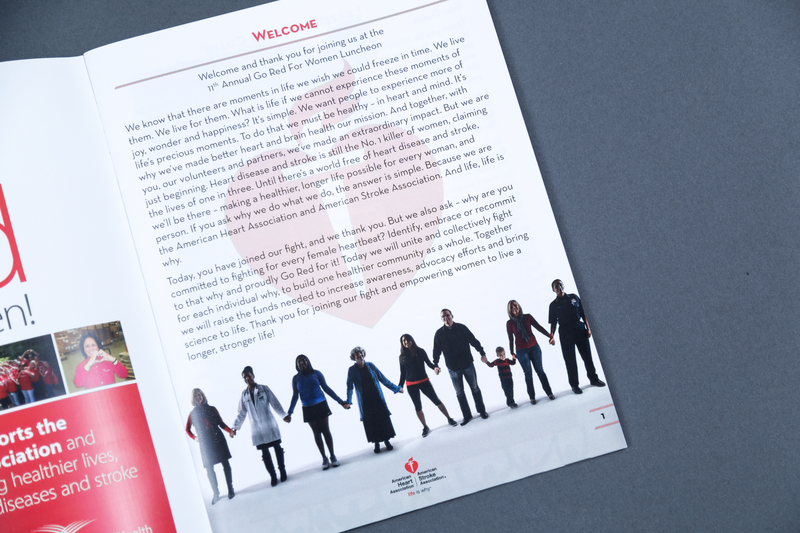 From personal responsibility, family members, emergency response technicians, doctors, and physical therapists, the diverse group of models for the campaign represented the ways in which we can all help each other build and maintain heart health. 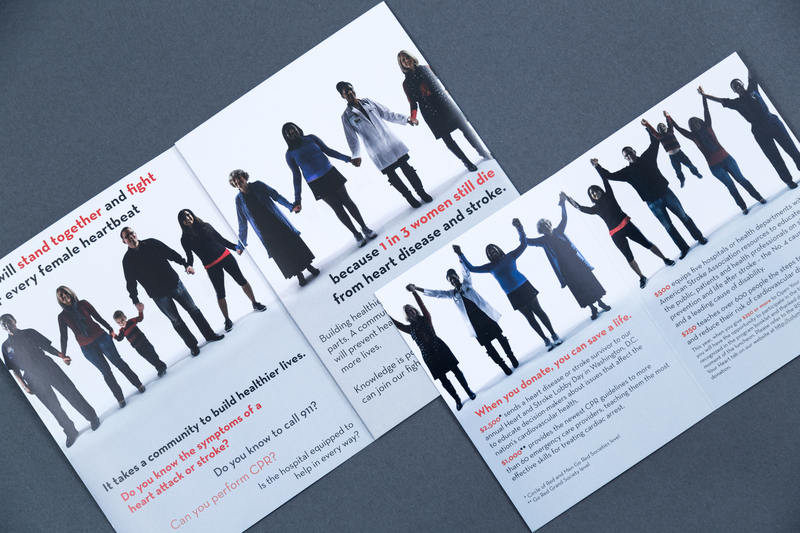 I helped to art direct the photoshoot for the campaign, making sure compositions left space for copy in the materials. 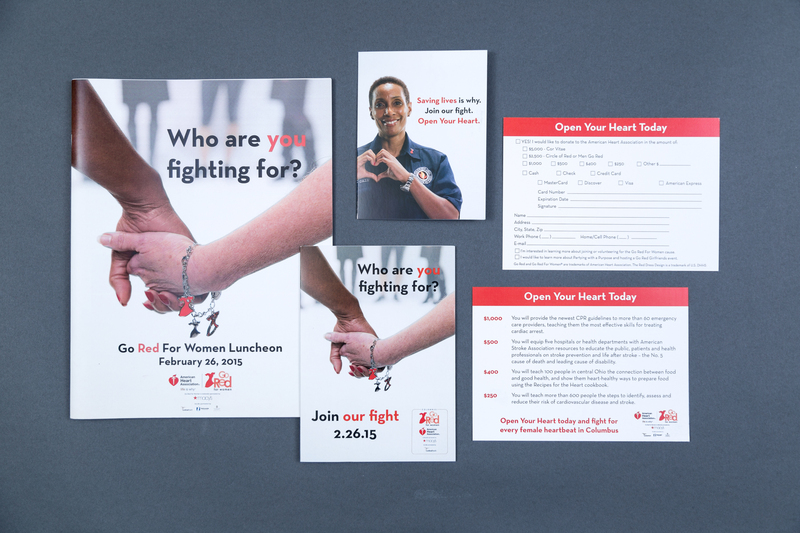 The materials for the luncheon included a 3-part invitation suite (trifold invitation, “open your heart” donation information, RSVP card) with envelope, several newspaper PSA ads, 44-page program booklet, day-of donation card, and dozens of signs for the event. 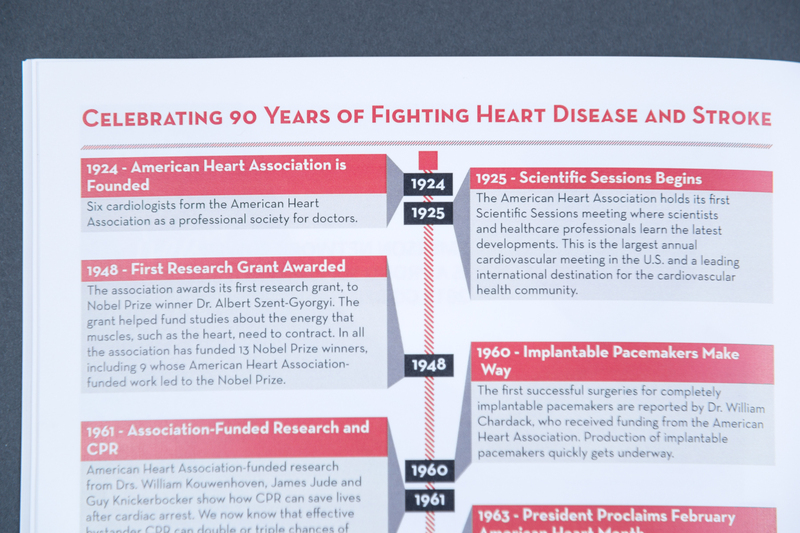 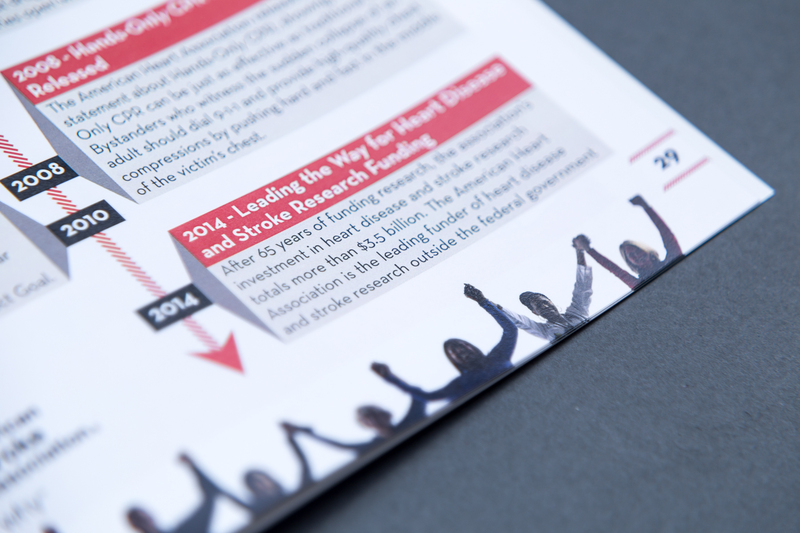 I designed a complex timeline spread of the 90-year history of the American Heart Association for the program as well. 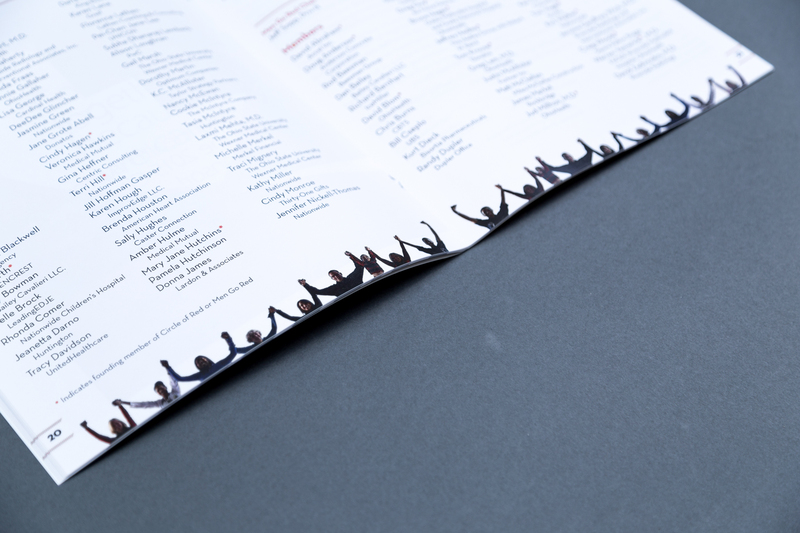 The materials required a balance of content and sponsor logos and the program included ads from several of the sponsors as well. 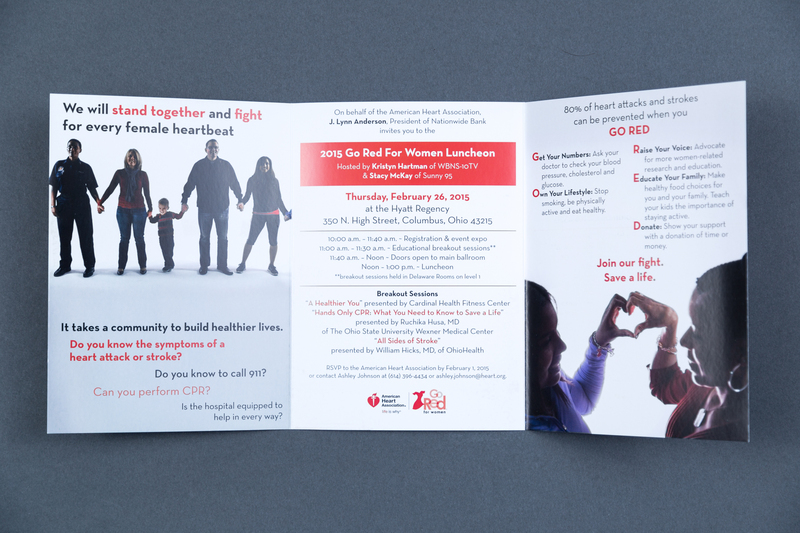 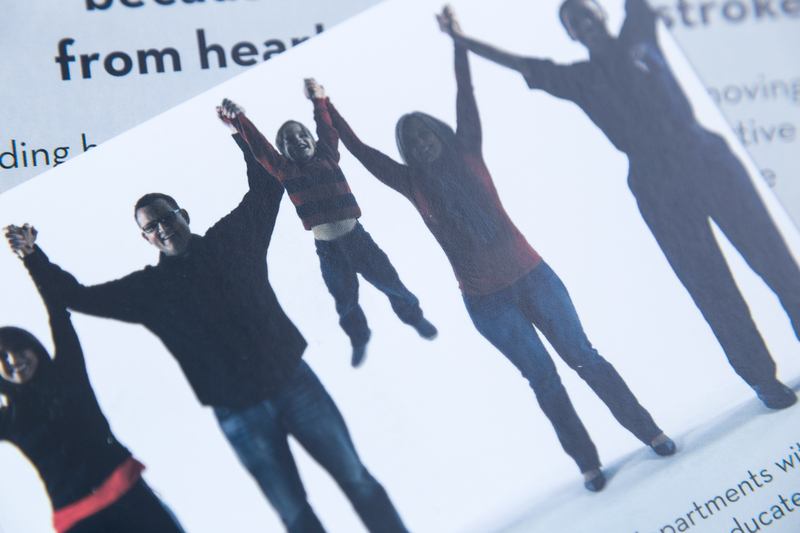 The photography was used across all materials to give the event a cohesive design with powerful messaging.